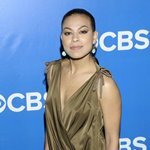 Toni Trucks is an American actress. Trucks was born in Grand Rapids, Michigan. She co-starred in Fox Searchlight’s film Ruby Sparks (July 25). The film starred Paul Dano, Zoe Kazan, and was directed by Jonathan Dayton and Valerie Faris (Little Miss Sunshine). She will also be featured in the final installment of the blockbuster hit series Breaking Dawn as Mary, a member of the American Nomadic Vampire coven. Born and raised in a small northern Michigan community, Trucks attended both the camp and academy of the prestigious Interlochen Arts Academy. She then earned her BFA in Musical Theatre from the University of Michigan. Upon graduation, Trucks moved to New York where she performed regionally before relocating to Los Angeles to make her television debut as the female lead on Showtime’s acclaimed comedy series Barbershop Her other television credits include “House,” 'All of Us, Veronica Mars, 'Til Death, “Brothers,” “CSI: NY” and the telefilms Star Runners and StarStruck.